On Saturday, May 5, 2018, 9 of us hiked to Peacham Bog in Groton State Park, making a 7 mile loop rather than 5.5 miles as advertised. We encountered lots of blow downs on the road in the park and along the trail. We surmised that all of the trees we skirted around on the trail added on an additional 1.5 miles to the hike. 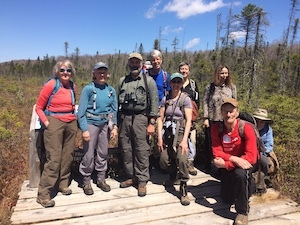 This early spring hike was bug-free and started out cooler than expected; however, the sun came out so that most of us finished the hike in short-sleeved shirts. We hiked the lollipop loop in a counter-clockwise direction. Along a dirt road, we saw toad eggs in a rope-like pattern in a vernal pond and coltsfoot in bloom. At one end of the bog, we saw a yellowlegs, perhaps blown inland with the storm. 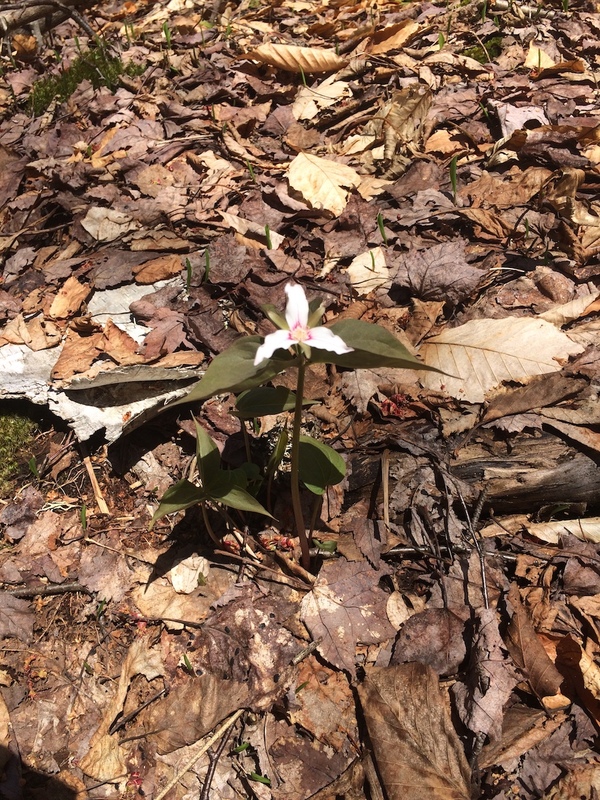 We saw pitcher plants, leatherleaf, labrador tea, goldthread, foam flower, trout lily, trillium, but nothing in bloom except a few painted trillium. 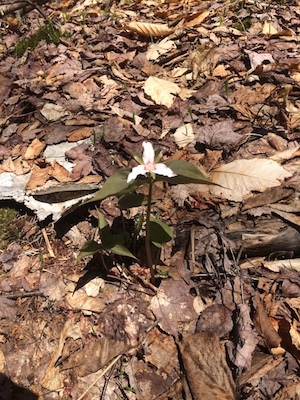 In a week or two, the bog and woods should be abloom.